The below is a statement from union leaders backing Jeremy Corbyn to continue as Labour leader. The Prime Minister’s resignation has triggered a Tory leadership crisis. At the very time we need politicians to come together for the common good, the Tory party is plunging into a period of argument and infighting. In the absence of a government that puts the people first Labour must unite as a source of national stability and unity. It should focus on speaking up for jobs and workers’ rights under threat, and on challenging any attempt to use the referendum result to introduce a more right-wing Tory government by the backdoor. The last thing Labour needs is a manufactured leadership row of its own in the midst of this crisis and we call upon all Labour MPs not to engage in any such indulgence. Polly Toynbee has inevitably fired a vitriolic salvo against Jeremy Corbyn, holding the supposedly ‘dismal, spineless’ Labour leader responsible for the Brexit vote. The anti-EU vote in many Labour-held constituencies shows not Corbyn’s weakness, but highlights instead the long-term withering of labour movement organisation in wide swathes of England and Wales, which no leader could have reversed in just nine months. The systematic closure of factories, mines and other union-organised workplaces during the Thatcher years has left a bitter legacy of an atomised working class that has yet to rediscover a progressive voice. New Labour certainly wasn’t that voice and many champions of ‘remain’ in the Parliamentary Labour Party, including Margaret Hodge, Tristram Hunt and Stephen Kinnock, keen to oust Corbyn, might well ask why their own constituents largely backed Brexit. Still, Toynbee belatedly recognises the importance of effective unions. Alas, I cannot recall her advocating ‘unions into all workplaces, [as] political educators about rights and solidarity’ during the Blair-Brown years, which saw the retention of the most drastic restrictions on collective union action in western Europe. Relentless outsourcing and enfeebled unions, rather than migrant workers, have led to the real decline in living standards for so many. Ironically, she now chooses to concentrate her fire on the first Labour leader in living memory to actively promote trade unionism. 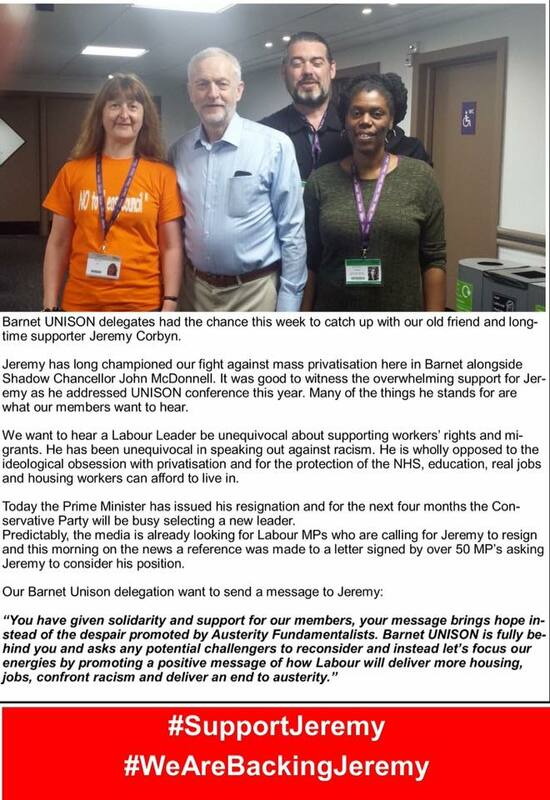 Having attended last week’s Unison conference in Brighton, along with nearly 3,000 others, I know that Corbyn received a very warm reception the day before the referendum vote and nigh unanimous support from delegates as word emerged on Friday afternoon of still another attempted ‘coup’ at a time when both the Tory government and party are in disarray. Durham Trades Union Council will host and chair a public meeting in support of County Durham Teaching Assistants, who are currently fighting against Durham County Council’s controversial decision to fire and rehire thousands of staff on vastly reduced terms, which will see many facing up to a 25% pay cut. The purpose of this event is to support the existing Teaching Assistants grassroots campaign #ValueUs, which has been running since the council announced its plans last October. This event will bring together local community groups, teachers, unions, parents, pupils and local MPs, who have made the decision to unite in opposition to this attack on a low paid and predominantly female workforce. Keynote speakers include Davy Hopper, General Secretary of Durham Miners’ Association, John Gilmore (NUT), Gillian Iveson, Lisa Turnbull, Claire Reed and Anne Richardson (Teaching Assistants and #ValueUs campaign organisers). As many other people in the wider labour movement have stated, the way County Durham’s teaching assistants have been treated is nothing short of disgraceful. County councillors will say there is nothing to be done, but many of us feel that when low paid workers are facing pay cuts of up to 25%, there has to be a better solution and we are determined to ensure that negotiations between the council and unions continue until they find it. But, devastating though these cuts are, it’s not all a tale of woe; what we have witnessed in the determination and organisational ability of these Teaching Assistants is in the tradition of the best of our movement. They’re an inspiration. This event is incredibly important to our campaign because we need to get the truth out to the public. This is not simply a dispute about holiday pay as some would like to think. We are full time employees being forced into part-time contracts with part-time wages. We work above and beyond our contract on a daily basis and this cut is kick in the teeth to those of us who have dedicated years of service out of a love for the job we do and the children we care for. Having been truly inspired by the vigour and impact that Durham Teaching Assistants have achieved thus far through their own determination and efforts to highlight the catastrophic life changing measures being forced upon them, I feel this event is a vital stage in the growth and development of the TA’s campaign, as it is increasing public awareness of the real tragedies in this story. The Teaching Assistants’ voices are going to be heard and more importantly listened to, as they gain the support of other unions at both county and national level. Education is one of the most important public services we have and frankly it is unbelievable that a Labour Authority is behaving in this way. They should immediately start renegotiating with the Teaching Assistants and sort out this mess. My solidarity is with the Teaching Assistants. 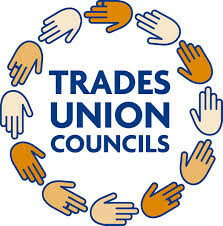 CDTUC is a registered branch of the Trades Union Congress and works to bring together unions to work and campaign around issues affecting working people in their local workplaces and communities. 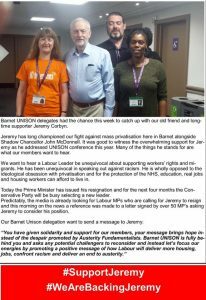 Our aim is to raise public awareness of rights at work and the union role in enforcing those rights; promote organising and recruitment drives to build union membership; and support union and community campaigns for dignity and respect in the workplace and beyond. UNISON members working in Barnet Libraries are taking industrial action on the 13th, 14th and 15th of June 2016 in opposition to the Council’s plan to outsource the Library Service. Phase 3 alternative delivery model to be identified for this section. For those unfamiliar with the Barnet Libraries debacle please watch this short animation which details the plans for our fantastic Library Service. Keith has given permission to share his response with our members in the Library Service. “Mrs Angry expresses my views succinctly in her Broken Barnet blog. Shrinking libraries, halving the book stock, the highly risky use of unstaffed DIY libraries. All are dangerous, stupid gambles. Why not instead cut the massive allowances and perks received by councillors? Now the view from me. I have been a library volunteer at Friern Barnet Community Library for nearly four years now, initially at the invitation of Phoenix and the squatters who began their occupation on 5 September 2012. My experiences are recorded in my book Friern Barnet – the library that refused to close. I was a co-defendant with the squatters in the action by Barnet Council for their eviction in December 2012, and one of the original band of trustees appointed by the community to run the library in succession to the squatters. 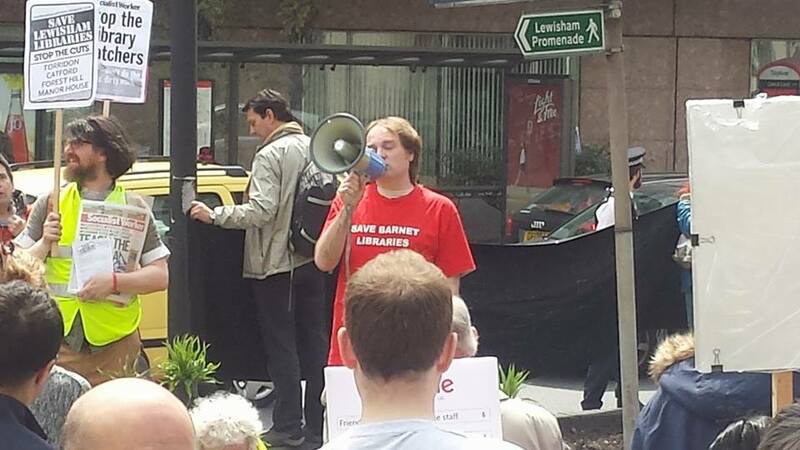 Would I volunteer for Reuben Thompstone’s plans to reshape the library service; to harness Barnet’s community spirit? Would I thus be a party to putting chartered librarians and other professional library staff on the dole, after they have attempted to train unskilled volunteers such as myself to replace them? Would I be a party to actions which have as their goal the closure of libraries and the wrecking of educational opportunities to schoolchildren which generations of library users have benefitted from as their birthright? This is why I am active in the campaign to save not only libraries in Barnet but throughout the United Kingdom.